Gorilla Tuff in Gallons, is a spray able rust converter that instantly will take rust and convert it to a non-rusting surface. 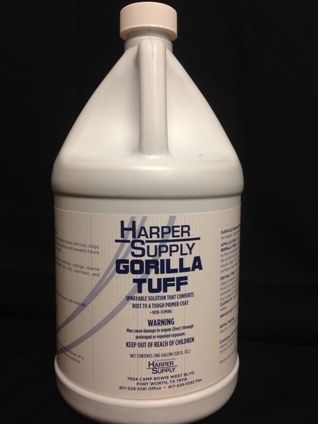 Gorilla Tuff will instantly bond with rust to transform it into a non-rusting paintable surface. Gorilla Tuff saves effort on sanding rust to bare metal. It is safe and easy to apply.